We’ve got an affiliate request from developers of PutDrive, so we’ve tested the service and would like to share our experience. The service will be advertised as the first online cloud downloader. With PutDrive you will be able to download files from BitTorrent and Usenet networks, from YouTube videos and at least from more than 85 file hosters. While you download torrents, PutDrive promises 100% anonymous transfer of files from the network to your computer using cloud storage. With a simple copy-paste of the magnet link, torrent file or the URL of the magnet link’s page the downloading tool will start file transfer to your PC. 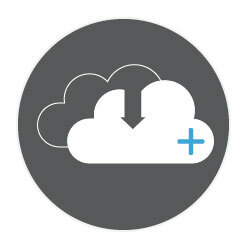 PutDrive transfers content from peers and trackers to your cloud where you download files to your computer after. In other words, your IP address will nowhere shared and is not trackable. The payment details are saved on the side of the payment provider only - the details will not be shared with any third-parties. With a PutDrive tool you can download files from more than 85 worldwide file hosters. You pay only once for a premium membership - it’s not necessary to get premium account on each single file-sharer separately. This protects you against dead links of deleted content - the same files can be found somewhere else in just minutes. The download process is created as simple as possible: you find and copy the links for the files you want to download => you paste the links into download page => files will be transferred from a file hoster to your hard drive. PutDrive provides a possibility to download music and videos from YouTube and other tubes. The tool is able to extract audio from a video, convert it to a mp3 file and load it to your drive. All videos will be downloaded with the highest resolution and stored also in your drive. The PutDrive downloader can convert audio not only into mp3 format, but also in supported format for a mobile device, tablet PC or TV. The feature works really cool! With PutDrive you get access to the Usenet networks and files posted into binary newsgroups. It’s not clear which retention and how much connections will be provided. Usenet is an additional feature so you can’t await the same quality as on professional Usenet providers, but the feature works fine. Generally we can say that PutDrive is a useful service to download files. We know several tools that allow to download from all file hosters like MyDownloader - PutDrive makes a next step and adds BitTorrent and Usenet into their premium accounts. What concerns the prices, so you get 30 days access for €9.99, 90 days for €26.99 and 180 days for €44.99 - the prices are more than fair for the amount of useful options you get with a premium account. PutDrive is a great tool, so we decided to write about it - we hope you like it too!